LONDON: With a fantastic finish and a dominant defense, there has been a lot to talk about in the NFL this week. What a finish at the Hard Rock Stadium. The Patriots looked to have sewn the game up on their way to sealing their 10th-straight AFC East title in the process. Stephen Gostkowski’s field goal put New England five ahead with 18 seconds left, but the Miami Dolphins had other ideas. In a move reminiscent of the now legendary touchdown in a college football match between Stanford and the California Golden Bears — simply called “The Play” — Ryan Tannehill threw a good pass to Kenny Stills who burst forward 14 yards before laterally passing the ball to DeVante Parker, who then passed to Kenyan Drake who weaved his way 52 yards for a seemingly impossible score. In a sport defined by meticulous planning, it was breathtaking to watch a brilliant piece of spontaneity. 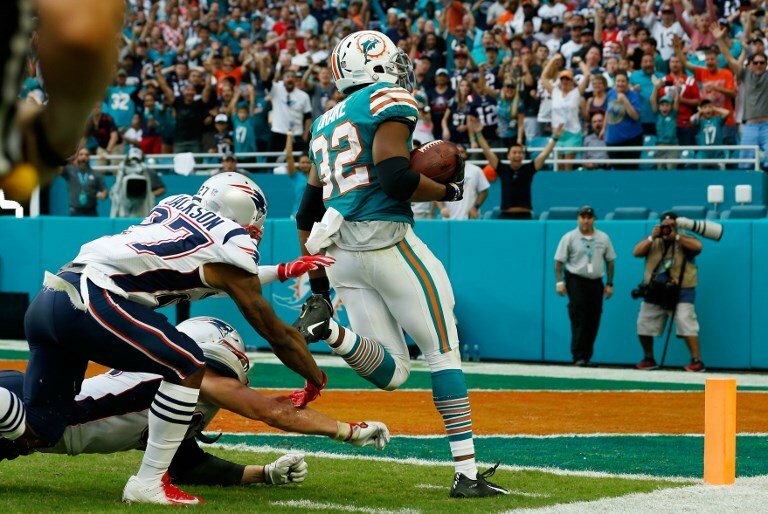 It's a case of catch me if you can for Kenyan Drake as he seals victory for the Dolphins against the Patriots. 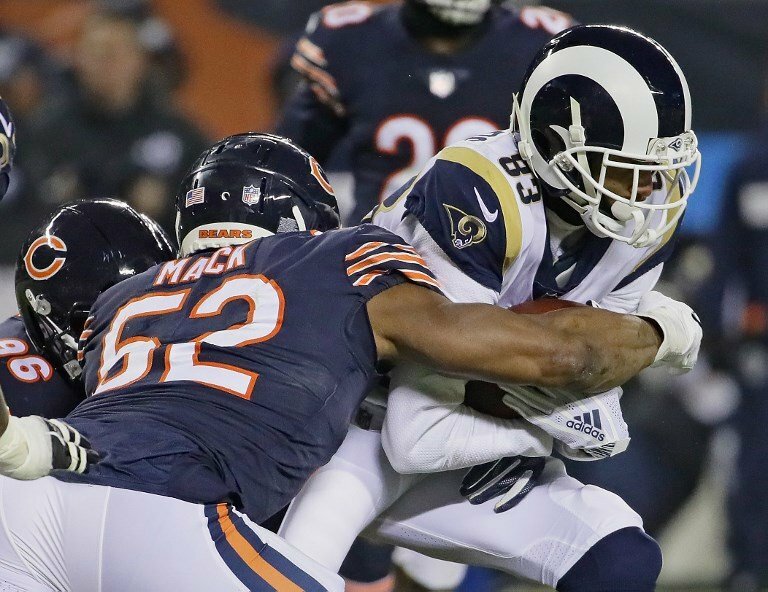 The Chicago Bears and the LA Rams clashed this week in a game billed as a meeting of the league’s best defense and one of its best offenses. Good defenses will win you titles and it was the backline of the Bears that came out on top. For Chicago to restrict the rampant Rams to six points — 29 points fewer than their season average per game this season — tells the whole story. The Bears now have 25 interceptions for the year, of those their cornerback Kyle Fuller has seven. As we near the playoffs, you can guarantee that nobody will relish coming up against these measly Bears. The 'they shall not pass' mentality of the Bears proved too good for the usually free-scoring Rams and could be good enough for Super Bowl glory this season. 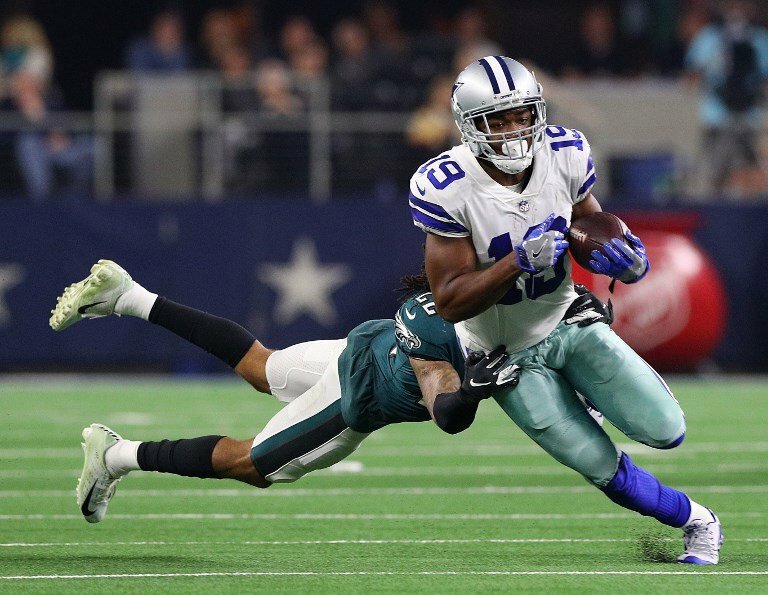 In a game they should have won long before a late Eagles flourish tied the game in the fourth quarter, the Cowboys got over the line in overtime and have all but sealed the NFC East division to return to the playoffs after missing out last year. There was a touch of fortune about Amari Cooper’s winning touchdown. He juggled a catch to take it home after Eagles’ Rasul Douglas tipped an interception into the air, but there was nothing lucky about Cooper’s overall performance. He scored three touchdowns and caused the Eagles’ defense a headache all game. His signing from the Oakland Raiders has been a masterstroke by owner Jerry Jones. The Cowboys are unlikely to go all the way, but for such a storied franchise, making the postseason is seen as achieving the bare minimum. The Cowboys, for whom success used to be second nature, are back in the playoffs after missing out last year. The Steelers’ woe continued this week with a third straight defeat, this time to the previously 2-10 Oakland Raiders. 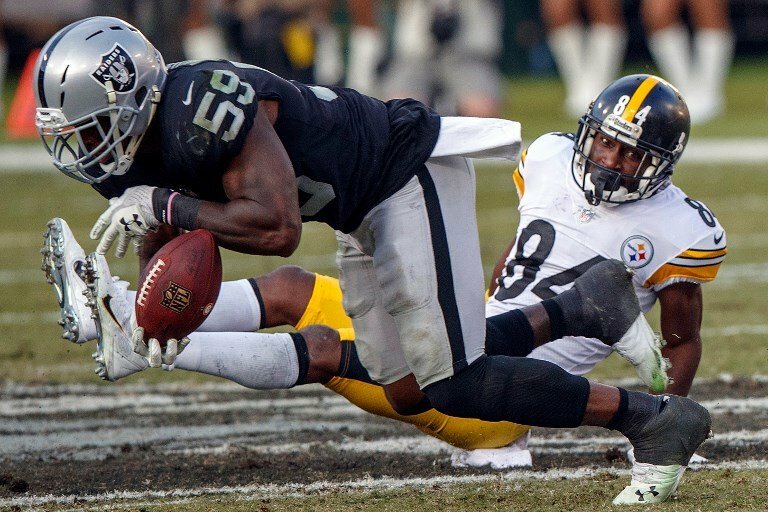 Their head coach Jon Gruden celebrated the win like he had won the Super Bowl, but the Raiders were definitely helped by Ben Roethlisberger’s rib injury in the first half — the iconic Steelers quarterback should be fit for their home clash with the Patriots next week — but take nothing away from Oakland. They certainly did not play like a team propping up the AFC. For Pittsburgh, they need to find at least two wins from the final three games to be sure of a spot in the playoffs. The Steelers are looking less than sturdy the closer the playoffs get.